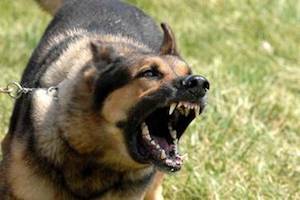 While many dogs are friendly and docile, some are quite vicious and potentially dangerous to the general public. An attack by a large dog against a child, jogger, bicyclist, etc. can be incredibly dangerous and even life threatening. Each and every day approximately 1,000 people are bitten by a dog and require emergency medical treatment. Each year, nearly 10,000 people are hospitalized as a result of a dog bite injury. Dog bite injury claims are responsible for more than one-third of all liability claims filed through homeowner’s insurance policies in 2016. That translates to a cost of over $600 million. As you can see, dog bite attacks and injuries are quite common and can be deadly serious. If you or a loved one was injured in a dog attack and have been mauled or bitten, you have a right under California law to seek a financial recovery for your harms and losses. Among the most common types of injuries from dog bites include lacerations, abrasions, disfigurement including scars, puncture wounds, broken bones and even amputation. If that was not bad enough, nearly 1 out of every 5 dog bites becomes infected, according to the Centers for Disease Control. Victims of vicious animal attacks can also endure serious emotional and psychological trauma. For example, some victims may develop a phobia of dogs as a result of the attack. This is especially true when the victim is a child. California has a strict standard in place for owners of dogs that attack and bite people. Many states follow what is known as the “one-bite rule.” This rule basically states that if a dog owner did not know and had no reason to know their dog had the propensity to bite someone, they could avoid civil liability, However, in California, dog owners are strictly liable for the injuries caused by their dogs. This means a dog owner is liable even if they had no idea their dog had the capacity to harm someone. Medical Expenses (Both Incurred Expenses and Future Costs): Trips to see the doctor, surgery, prescription medications, and long-term treatment can all potentially be recovered through a personal injury claim. Lost Income and Earning Capacity: Temporary and permanent disability after a dog bite injury can cause victims to miss a significant amount of time from work or even force them to find another profession since they are not physically able to return to their chosen profession. Pain and Suffering: These are the intangible harms and losses associated with the dog bite. They are the trauma and intense pain you endure from the injury. Emotional Distress: Vicious animal attacks can be extremely traumatic incidents, causing loss of sleep, recurrent nightmares, and psychiatric trauma. Damages for these emotional injuries can be recovered through a dog bite injury claim. Under California’s statute of limitations, a dog bite victim only has two years from the date of the injury to file a personal injury claim in court. This may sound like a lot of time, but it is not, especially if you are seriously injured and need to devote your time to rehabilitating from your injuries. This is why you should speak to an attorney sooner rather than later. Do not let the proverbial clock tick away. 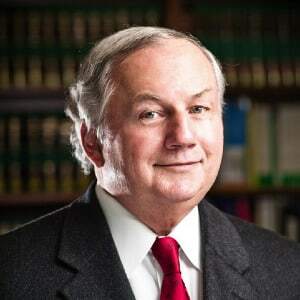 I'm Ed Smith, an El Dorado Hills Dog Bite Lawyer. Suffering an injury from a dog bite can leave you both physically and mentally scarred. You may require weeks or months of rehab to recover from your physical injuries, and you may never fully recover from the psychological damage stemming from the incident. I am here to help you and your family. If you or loved one have suffered any injuries related to a dog bite, please give me a call today for free and friendly advice concerning your situation. You can reach me at 916.921.6400. Because I operate on a contingency fee basis, I will only be paid if and when you receive payment through a verdict or settlement. I have been working in and around the community of El Dorado Hills since 1982 on individual's injury and wrongful death claims. I am an admitted member of the California Section of the forum for Million Dollar Advocates. This is a forum that is made up of the nation's top trial lawyers. These lawyers displayed their skill through winning verdicts and settling cases for at least one million dollars on behalf of their clients. I also invite you to take the time to view the Past Settlements and Verdicts of our injury lawyers.